Our sail manufacturing facilities around the world use the finest equipment available, ensuring quality, consistency and durability. Ullman Sails Whitsunday Loft sewing sails for a large cruising yacht. The team at Ullman Sails South Africa hard at work. One of our staff in South Africa working on a sail. You can count on Ullman Sails for a well-built product. From the design and engineering through to the finishing details, our sailmakers are focused on manufacturing quality sails. Ullman Sails is supported by one of the largest and most technologically advanced production sail lofts in the world – Ullman Sails South Africa. The loft employees over 120 trained staff members and has manufactured over 100,000 sails in its 30-year history. Recognized worldwide for its quality standards and expertise, it is sought out to produce top projects that range from sails for a Southern Wind 102’ to world championship-winning J/70 sails. The sail loft covers four buildings in two cities (Cape Town and Durban) and includes a state-of-the-art membrane plant, and specialized departments for one design sails, panelled cruising and racing sails, spinnakers and superyacht sails. The loft also houses research and development facilities for the Ullman Sails group, providing an ideal platform to merge sail manufacturing know-how with design, materials and technical development. 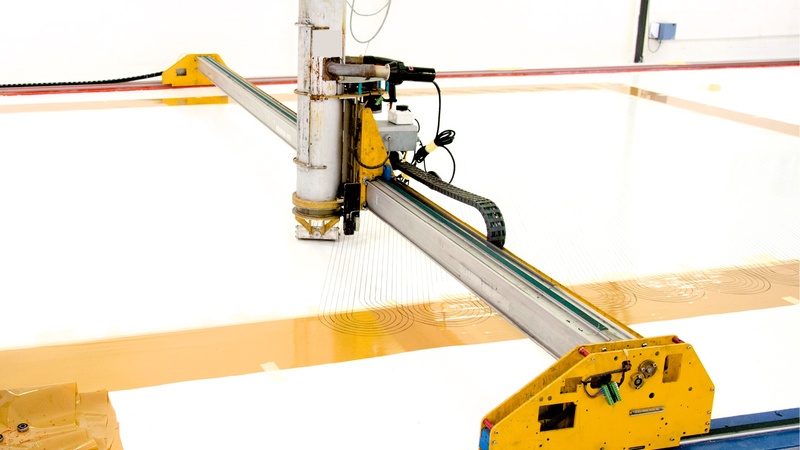 Our state-of-the-art membrane facility in Cape Town is internationally recognized for their superior lamination and precise construction. Great care is taken in the selection of our membrane components from the fibers and glue to the Mylars and taffetas. 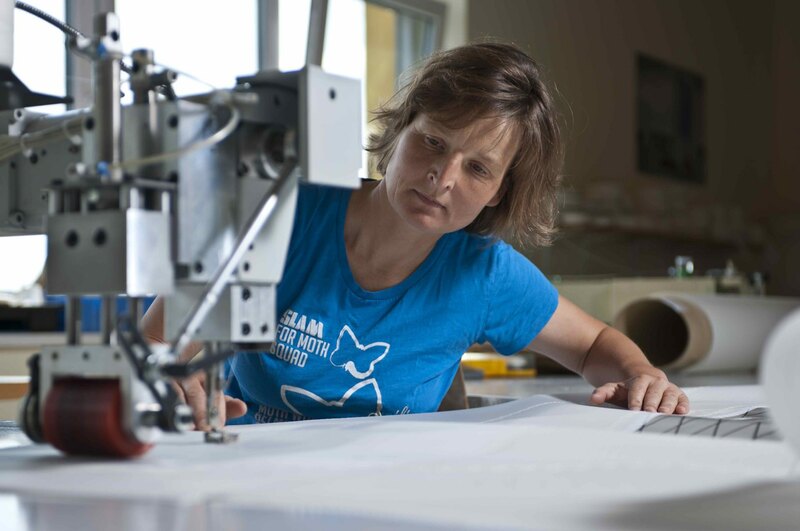 There is no size restriction on membrane sail production – the loft has two stringing machines including our ‘long-arm’ machine, which enables us to string sails for any size boat. With the experience of our sailmakers from all corners of the globe and decades on the sail loft floor, Ullman Sails has developed a manual of construction standards by which all Ullman Sails are built that covers every aspect of an Ullman Sails sail. These standards are used group-wide, which means that no matter where your sail is built in the Ullman Sails network, your sail is built to the same quality standards. 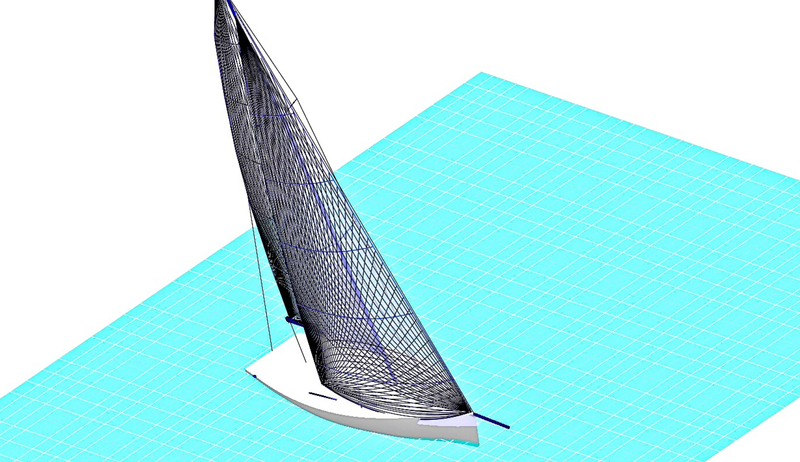 A graphic rendering of a FiberPath Sail using design software from SMAR Azure. 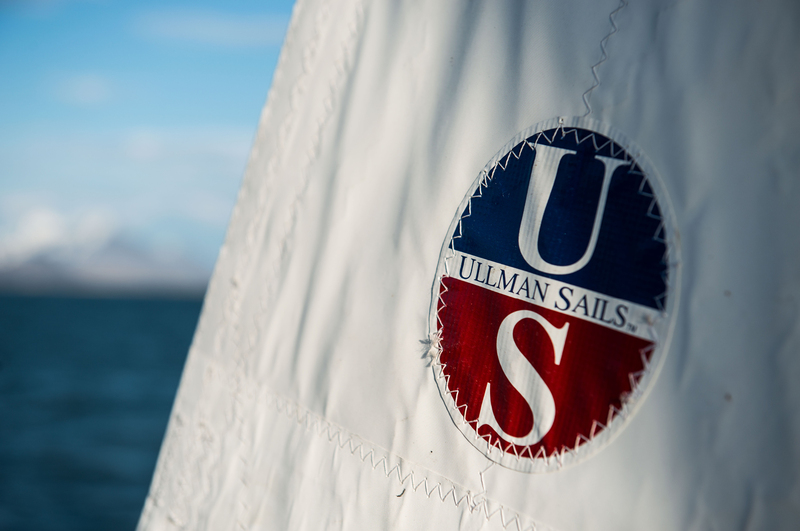 Ullman Sails is uncompromising when selecting the materials to engineer our sails. We believe that you must work with the best in order to produce the best. We only use the recognized vendors in the industry: Contender Sailcloth, Dimension-Polyant, Bainbridge International, Challenge Sailcloth, Rutgerson, Antal, C-Tech Battens, RBS Battens, and Sunbrella, just to name a few. And we never stop looking forward – we continue to research new sail materials and the latest technological developments to improve our product and better meet the needs of our customers. In addition to the manufacturing capabilities of Ullman Sails South Africa, our lofts have the flexibility to manufacture sails in their local loft and source sails from the international Ullman Sails network. This means Ullman Sails delivers to you on all levels – superior sail manufacturing, market-leading technology, and capable service and support in your home port.